Developers Yggdrasil has released their financial results for the third quarter and things are looking great. The company has seen their shares jump thanks to player transactions and revenue growth rocketing compared to last year. The company also saw 59% growth in their mobile gaming division, which is fast becoming a key growth market for developers. With a quarter marked by new business partnerships from across the globe, Yggdrasil has been a force to be reckoned with. New deals include content agreements with Bet Fred and SkillOnnet. CEO Frederic Elmqvist, CEO for Yggdrasil said that the recent deals have been made to ensure a strong foundation for the company’s growth trajectory. Yggdrasil definitely seems to be making all the right moves as player transactions have risen by an incredible 132% this month, compared to the same time last year. This means that Yggdrasil’s offerings have proven more engaging for fans. These results should certainly tempt more developers to get into bed with Yggdrasil. The financials also clearly show that the immense growth in revenue for the company was not offset by high expense. 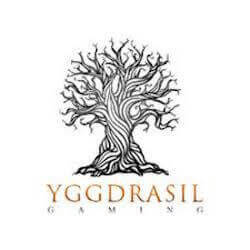 So far Yggdrasil has managed to make profitable acquisition and run their operation in the most cost effective manner. This is sure to spur even more investor interest for the company. 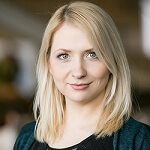 Yggdrasil has also recently announced plans to increase their office space by expanding to Krakow and Malta. These new offices are to support the growing Yggdrasil workforce. There is already a new office running in Stockholm and plans for bigger office spaces in Gibraltar. This quarter was also marked by three new quality slot releases by the company, Jungle Books, Rainbow Ryan and Valley of The Gods. While these games have drawn many new fans to the developer, older games like Vikings Go Berserk still have a very loyal fan base. What has been a major player in the company’s success has been their customer gaming software service. This includes BOOST, which is a collection of in game promotional tools including in game tournaments, unique missions, and the BRAG feature, which is a unique social media integration service.